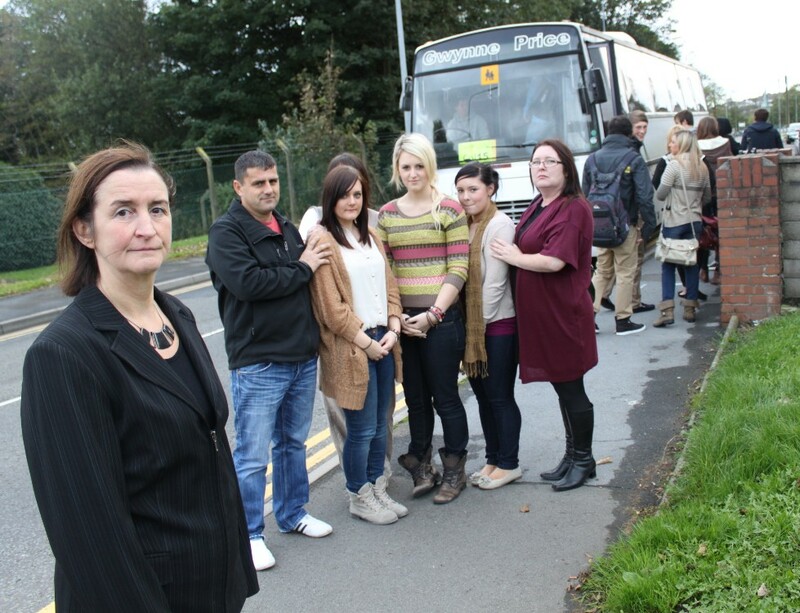 Parents Mr & Mrs Rees and Helen Martin with students Jessica, Zoe and Hannah previously ineligible for college bus but who now have new bus service. Nia Griffith MP has welcomed action by Coleg Sir Gar and bus operator Gwynne Price which has resulted in three new direct bus services to take students to and from Coleg Sir Gar, for which students will be expected to pay £1 a journey. The routes will serve the Dafen and Felinfoel area, the Morfa and New Dock Road area and a route from Trostre Road via Alban Road and College Square. This follows a campaign by Nia and local students, and their parents who were dismayed to discover when students started college in September that free college transport had been scrapped for those living less than three miles from the college, leaving pupils from areas like Felinfoel having to get two service buses each way at a cost of £5.20 a day to get to the Graig Campus.